Since end of 2015 FOUR PAWS in cooperation with Albanian authorities aims to put an to the cruel keeping of bears across Albania. The joint is to stop not species appropriate keeping of bears close to restaurants and other private businesses by law and reduce the number of cruel kept bears sustainably by rescuing and relocating these individuals to suitable wildlife rescue centres and sanctuaries. In addition, FOUR PAWS supports the efforts of the Albanian Ministry of Tourism and the Environment to establish a bear rescue centre close to the capital, Tirana. FOUR PAWS considers the founding of such a bear centre as imperative in order to be able to rescue bears being kept in poor conditions, to house them in a suitable environment and at the same time help increase awareness about the needs of these animals among the population. March 2016: FOUR PAWS signed a joint memorandum with the Albanian Ministry of Environment. The joint goal is to find a sustainable and animal-friendly solution for the many bears being kept in catastrophic conditions in Albania. August 2016: FOUR PAWS rescues the first bears in Albania – the restaurant bears Tomi, Gjina and Pashuk – and transfers them to BEAR SANCTUARY Prishtina. End of 2016: FOUR PAWS becomes a member of the 'Save Albanian Bears' coalition, joining with other animal and environmental protection organisations and state institutions to lobby for an end to the cruel keeping of bears in Albania. August 2017: A total of six bears rescued in Albania now live Six of these bears now live in the FOUR PAWS bear sanctuaries in Kosovo and Germany and the DANCING BEARS PARK Belitsa in Bulgaria which FOUR PAWS runs in cooperation with French Brigitte Bardot Foundation. November 2017: FOUR PAWS submits over 420,000 signatures for a ban on the cruel keeping of bears in Albania to the new Albanian Minister of Tourism and the Environment in Tirana. June 2018: More than 25 bears are rescued in cooperation with Albanian authorities and other animal welfare organisations and transferred to wild animal sanctuaries abroad. 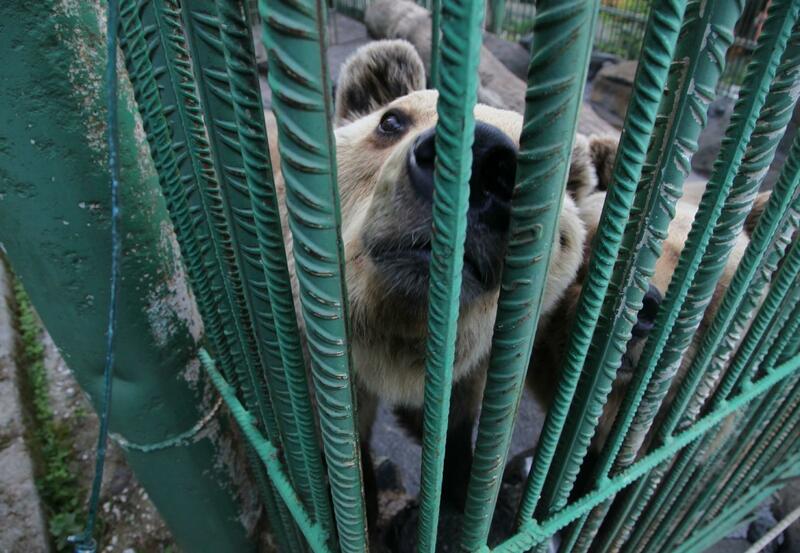 There are only 10 bears remaining in private, not species appropriate captivity.